When George and I bought our first house eight years ago we never could have fathomed four children living in it. At the time of purchase, our house was far more square footage than two people needed. We bought it as a “five-year house”, and anticipated living in it for several years, then maybe adding a baby (or two) to our family before up sizing. In time, we fell in love with our neighborhood and added our own special touches to our home. 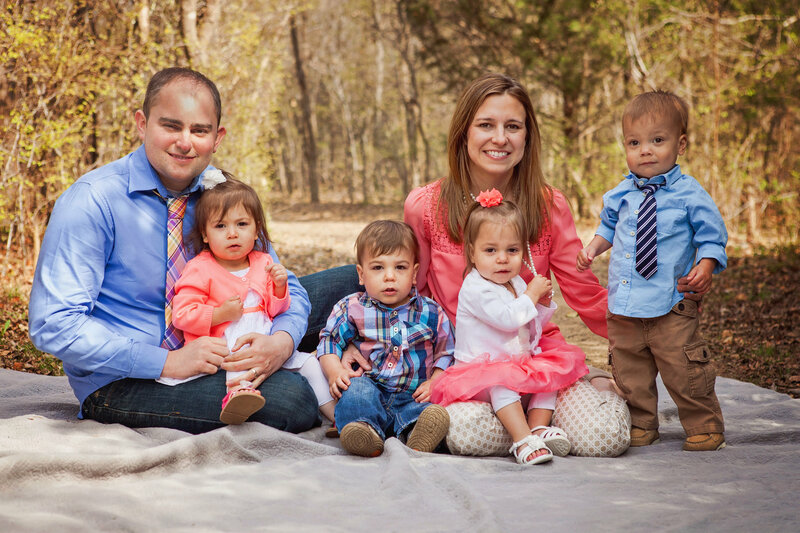 After discovering we were expecting quadruplets we knew our house couldn’t be a forever home. Yet, the prospect of buying and selling during a quadruplet pregnancy was not going to happen. Once the babies came home we made do by adding storage and getting creative with furniture arrangement. It was working surprisingly well. However as our babies transformed into busy toddlers, we knew it was past time to find a house better suited to our burgeoning family. This spring we finally pulled the trigger and interviewed with real estate agents to discuss our property value and desired features for a new home. Initially we planned to move out of our neighborhood where we could find more square footage for our money. However, multiple real estate agents reminded us why our neighborhood is ideal for our family. Great schools, family friendly, close proximity to many amenities. I began feeling anxious about sacrificing our beloved neighborhood for more space. We found a gorgeous home in a nearby neighborhood with almost every item ticked off our wish list. It was a five bedroom turnkey house with an over sized kitchen and pantry, it was dreamy. One bright Sunday afternoon we hauled the quads to see this particular home. As soon as our agent opened the doors the quads dashed upstairs. This would have been fine except the shiny wooden staircase was adorned with wrought iron spindles, which overlooked the den from about 25 feet off the ground. While the house was stunning, I immediately knew it was not our house. All I could envision was toddlers catapulting themselves over the stair railing and subsequent ER visits. Our real estate agent urged us to visit an open house in our neighborhood, but I wasn’t enthusiastic. It looked drab and small, but to appease our agent we walked the quads over for the event. After about five minutes, George and I looked at each other and both agreed it was perfect for us. It boasted all the features of our current home, but was a somewhat improved version. It had more space inside and out, and best of all there was a dedicated playroom space for the quads. That evening we made an offer on that house, which was accepted contingent upon the sale of our home. Within a week’s time, our house was decluttered, spiffed up, and market ready. Thankfully, we received a full price offer with just six days on the market. The only catch we are now amidst moving a house that’s accumulated eight years worth of stuff, two dogs, and four kids. Even though the new house is just around the corner, we still have to pack, update utilities, and situate ourselves in a new home. I’m over the moon about the new digs, and slightly extremely anxious about managing the mayhem. In order to keep it manageable, George and I set daily goals for packing, and elicited the help of the quads. They’ve proven themselves as unreliable help, however. They tend to unpack things after us, and add their own accouterments to boxes. 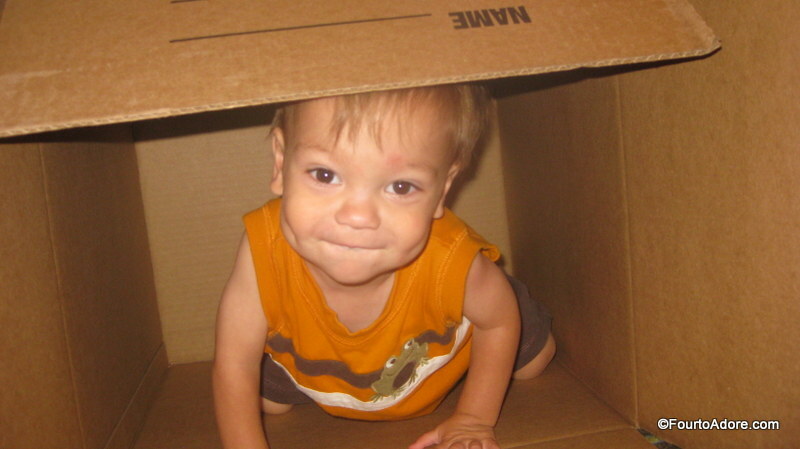 On the bright side, packing materials are highly entertaining toddlers. Sydney read the newspaper for at least thirty minutes while Harper added books to my kitchen box. At one point, I had four boxes set up for each of the quads. Yet, they insisted on pairing off, and the dogs ducked in with them a few times. The quads enjoy taking rides a top the boxes. Moving with multiples is proving difficult for my Type A personality. Before boxing anything, I prefer to ensure that all parts are accounted for, and boxed together (the idea is extreme organization now will help with unpacking later). With eight helping hands, parts tend to go missing. One evening the quad’s clock puzzle was strewn about and three pieces weren’t found. 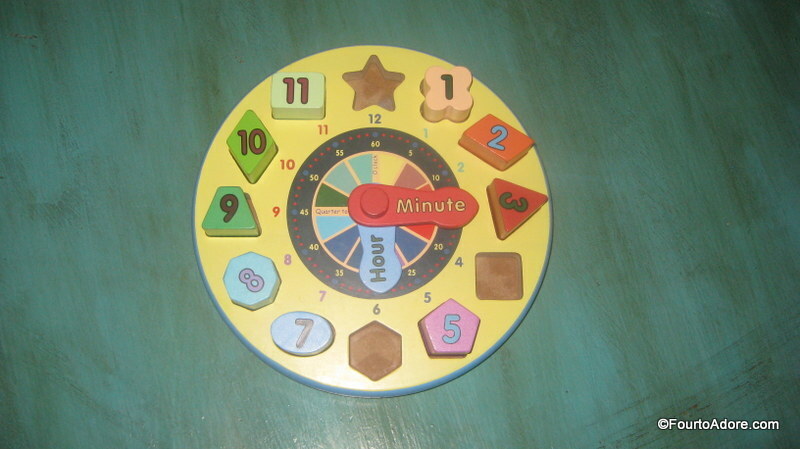 I put this clock on the counter and feverishly searched every imaginable place for them. Finally one night George admitted tossing them into a random box. I found enough self-restraint not to rip into boxes, but I assure you I wanted to. If I thought I’d actually find all three pieces I might do it, but the prospects are slim. Don’t assume I’m the only Type A personality in our house though. 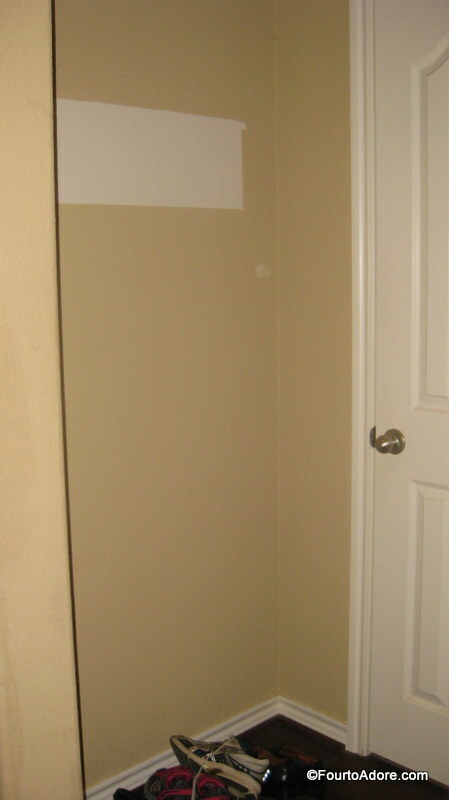 Every night, George scours the house with touch up paint in hand, masking our previous short cuts and damages. Each night, we heave another set of boxes to the garage. It won’t be long before we are engulfed in boxes. Unfortunately, moving is uncovering some of our Shawver Shortcuts in home renovations. We apparently have a bad habit of painting around things. There was a shelf hanging in this particular spot. 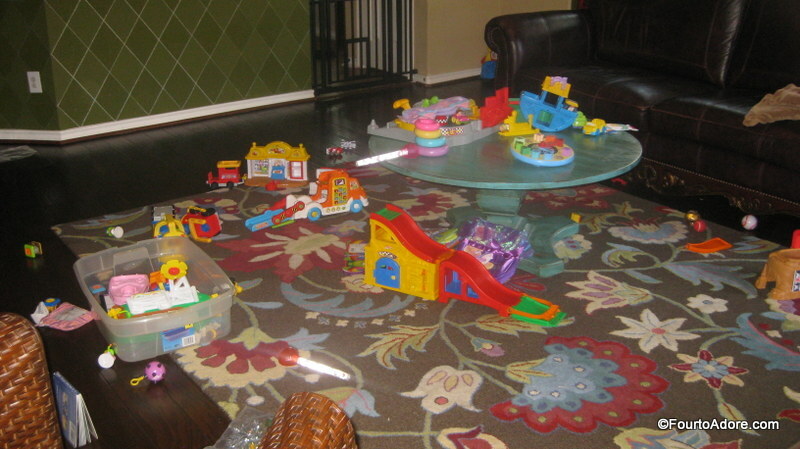 My den looks like a stick of dynamite hit a toy store…and it makes me anxious! I can’t explain how crazy seeing this clock with three pieces missing makes me feel! If these pieces don’t resurface, I may have to donate it. This morning the buy and sell were official and the ink is now dry on our paperwork! Our agent, Tommy graciously volunteered to babysit Sydney and Mason during closing while Rylin and Harper stayed behind with George’s aunt. What is your best moving tip? That’s awesome!! Congrats on the new house. 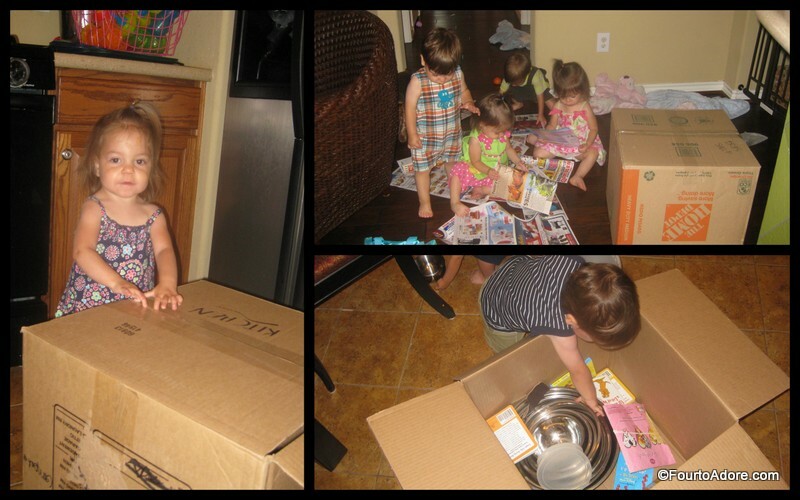 I can’t even imagine moving with 4 toddlers!!! 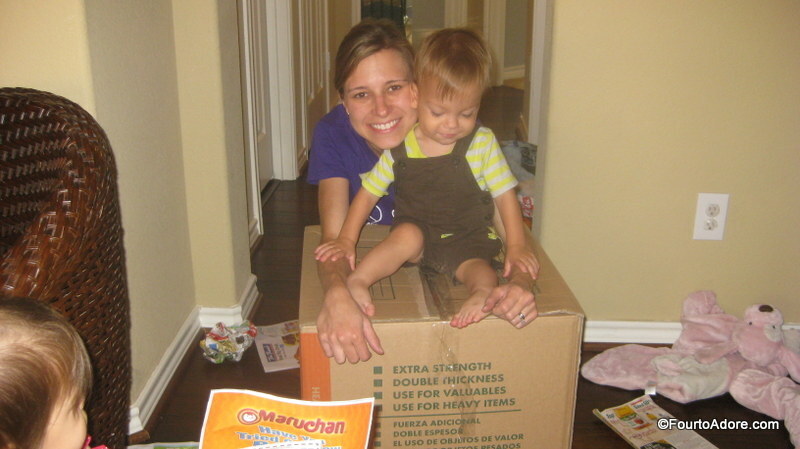 Moving tips: don’t pack boxes too heavy,pack like you are moving far and accept help!! See you tomorrow. The troops are coming! ! ! Lol! That would be A LOT of little helpers. Have kitchen boxes unloaded first. That way those boxes can be available to you, you can be unpacking your kitchen in “command central” while the muscles work around you. They know where you are, and you have what you need to start feeding your family immediately. Also, place remotes in zipper bags and tape them to the back of their corresponding electronic equipment! You pack and organize like I do! Unfortunately my other half packs like a Tasmanian Devil…what I packed was neatly labeled and together. We are still looking for a few things T Devil packed. Moving tip: hire people to pack your house and move it! Ahh!! You are brave for doing this yourself! We moved 3 months ago when the twins were 17mo old and I couldn’t imagine packing. We hired packers and movers, they packed our whole apartment in about 8-10 total hours over two days (four guys, about 700 sq ft), moved us in another 8 hours on the second day, and that was it. I mean it was super chaotic but the morning before the move our apartment was exactly like normal, then we left with a van full of priority stuff to our new house, and then our stuff came. 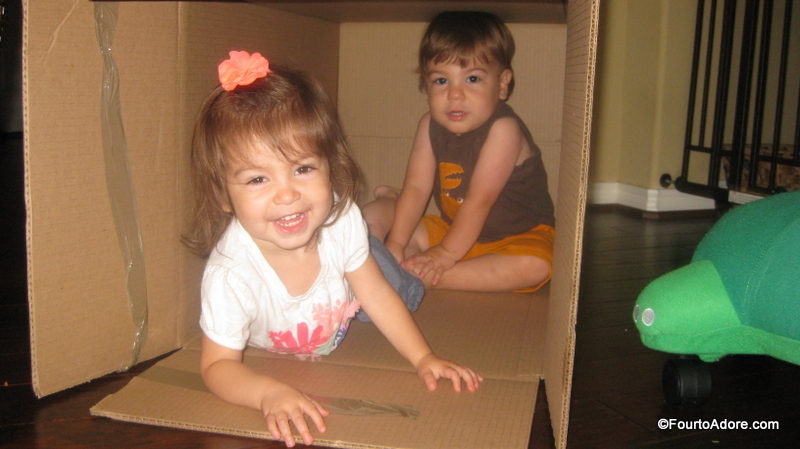 Unpacking was a huge challenge, we hired a babysitter one day, we had my parents for two days, and then my goal was to unpack 5 boxes a day during their nap. 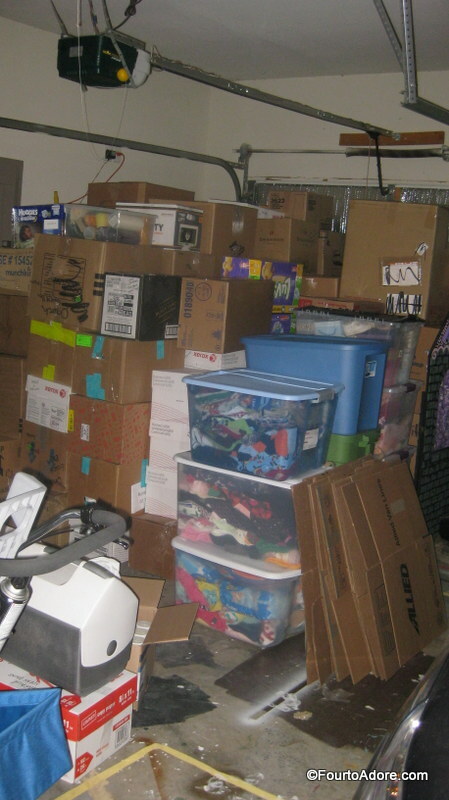 We are mostly unpacked now, 3 months later, only 2 boxes left upstairs and a few boxes in the basement that we don’t know what to do with……….. I wouldn’t say we were brave…cheap is more like it! We packed everything ourselves, but forked over the cash for movers to handle the large furniture and appliances (worth every penny!) We’ve been unpacking steadily daily and are now functional, but will be organizing for a long time. We have more space but less built in storage. Ahhh. Woo hoooo!! New digs, more space! Good luck and try not to stress TOO much! I agree with what Robin said, the unpacking will be huge. You may need me and George an extra day. FYI, I am George’s Aunt, but lately I’ve warmed up to “Great Aunt” “Kawo,” and as far as I know these little ones will be the only people in the whole world that can give me that title. So I’ll take it. Love you all. Just hold on a couple of more weeks. By summer this move will only be a stressful memory. I think you all are handling it very well. LOL, we forked over a few dollars for movers to do large stuff, but wrangled a few buddies to help with boxes. Alan was recruited, you were lucky to avoid being called to duty. 😉 We will need you for tech support later though. 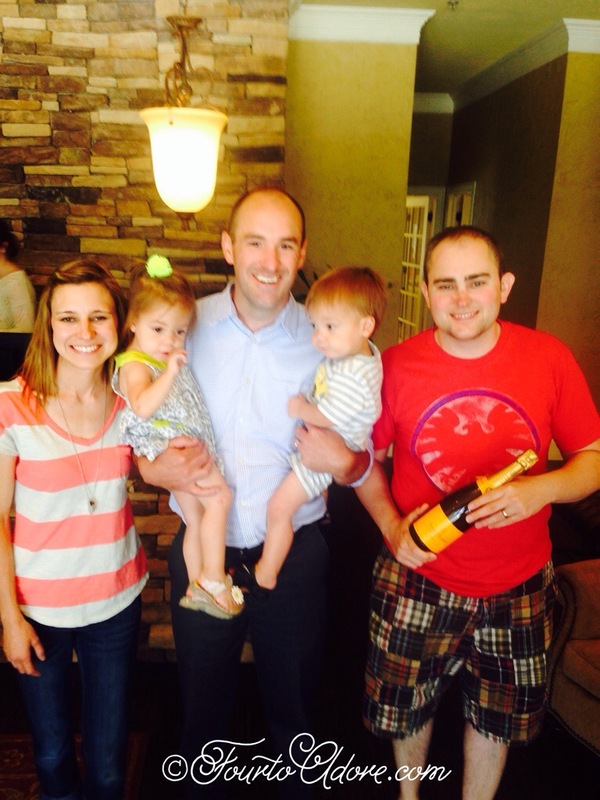 Congrats on finding a great new home! We have been apartment living with our trio since relocating to S. GA from NC 2 years ago but we will finally be moving into our forever home in October. We just signed papers on a new build. I’m not looking forward to packing & moving ourselves but we would rather save the money for a couple new pieces of furniture than fork it over to movers, so I’m trying to get organized now (I’m totally not a type A) I fear some things will never be seen again if I don’t get it under control now!